I completely agree with that. 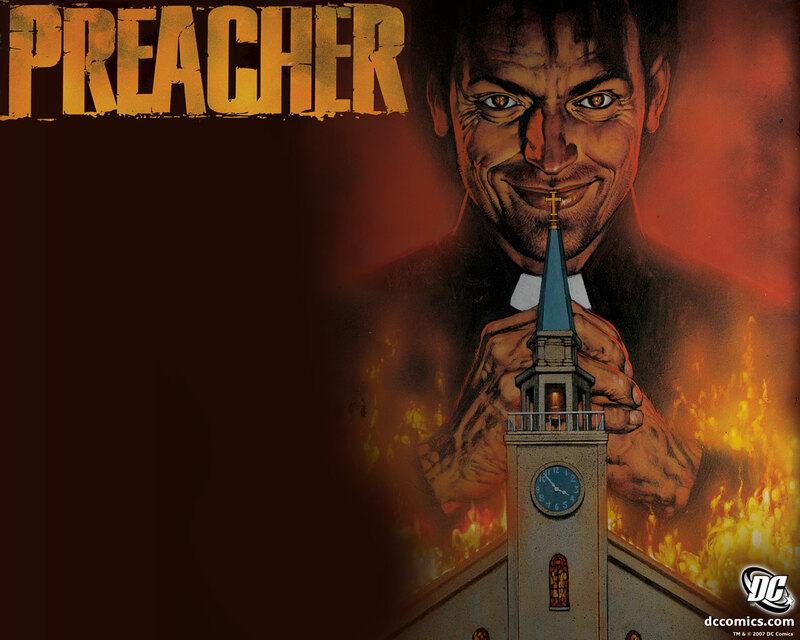 ‘Preacher‘ centers on a man named Jesse Custer, who is a whiskey drinking and bank robbing preacher in Texas. He merges with some entity from heaven that gives him the power to make anyone do what he says. He, along with his girlfriend Tulip, and an Irish vampire named Cassidy, the three journey to literally find and destroy God. I’ve been looking forward to this for a long time. HBO wanted to make this into a series about a decade ago, and before they finished the pilot episode, things fell apart, and it was scrapped. Then the director of ‘American Beauty‘ Sam Mendes wanted to direct a feature film based on the book, but that fell through as well. Maybe AMC has their ducks in a row, and this awesome series will get made. Here is our interview Seth Rogen and Evan Goldberg. This entry was posted on Wednesday, December 3rd, 2014 at 9:24 pm	and is filed under Comics, News, Television. You can follow any responses to this entry through the RSS 2.0 feed. You can skip to the end and leave a response. Pinging is currently not allowed. « Fernando’s Review of ‘The Theory of Everything’! !